Published: Dec. 17, 2016 at 11:16 p.m.
New York Jets QB Ryan Fitzpatrick throws an incompletion on fourth down. Published: Nov. 7, 2016 at 11:16 a.m.
Miami Dolphins defensive tackle Jordan Phillips makes an interception then hurdles over a New York Jets wide receiver for a 17-yard gain. 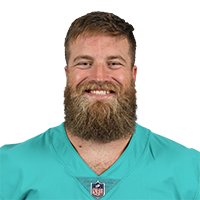 Published: Nov. 6, 2016 at 04:06 p.m.
New York Jets quarterback Ryan Fitzpatrick picked off in the end zone by cornerback Bobby McCain. Published: Dec. 24, 2012 at 06:23 a.m.
(1:20) R.Fitzpatrick pass short left intended for St.Johnson INTERCEPTED by R.Jones at MIA 4. R.Jones to MIA 12 for 8 yards (A.Levitre).